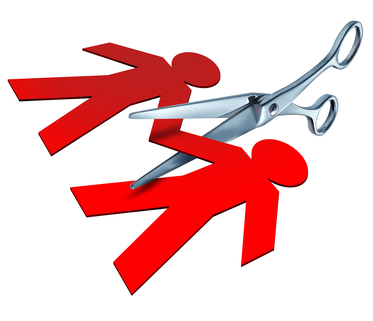 Today’s blog is by Jeanette Raymond, Ph.D. She was a recent guest on Last First Date Radio, and was kind enough to submit an excellent post about how to let go of a past relationship and date again. But staying in that place of wanting another chance to win over your partner keeps you from beginning the mourning process and making room for someone with who you can make a good if not better connection. Learning to let go is a struggle, especially when your psyche keeps pulling you back and filling you with images of trying again and succeeding. They are only fantasies. So when you are ready to step back into the real world and maximize your opportunities, try these five tips and enjoy a new you and a new relationship. Keep a written journal of the memories of hurtful feelings as they pop up. It will remind you that the relationship had thorns and made you bleed. So letting go is necessary for survival. Focus on the ache for a connection AND NOT on the person who you broke up with. Most women conflate the two and can’t let go of the person. It doesn’t mean you have to forgo your human need for a relationship. It’s just that the person with whom you are ending things, isn’t the only one and may not be the right one to fulfill those needs. Avoid thinking of the man in the arms of another having a good time – as if you didn’t exist! That will keep you hooked in wanting to be on his radar, wanting to find ways to lure him back, or live in hope that he will miss you and come back. If you find yourself going in that direction – look around at other couples and listen to stories from friends and colleagues about how annoying their men are, and how often they feel let them down. STOP THE IDEALIZATION OF THE MAN and OVERVALUING OF HIM BECAUSE HE IS NO LONGER AVAILABLE. Don’t go on the rebound – that is just another disguised way of filling a hole that you believe should be filled by your ex! You may hope that he will get jealous or that you can use a new person to punish the ex. But doing it means your focus is once again on the ex and not on letting go. INSTEAD: think, write and create a picture of what you have gained over all in the relationship – how has it enriched you? What have you learned about yourself and your needs? What mistakes would you avoid next time? The emphasis should be on the relationship – not the man. Let the relationship morph into something that needs re-calibrating. You can’t wipe it out or pretend it doesn’t hurt. But you can let it be an experience that feeds you over time in a different way. Instead of filling you up and being your primary source of self-worth, let it be a side dish – one that you can look back on and enjoy good memories, sad memories etc. That will keep you fed until you are ready for something new – taking what you learned and improving on it, in a way that enriches you. Did you find this article helpful? Learn anything new? Please share your thoughts. Dr. Jeanette Raymond, is a licensed psychologist with a private practice in Los Angeles. She is the author of Now You Want Me, Now You Don’t! Fear of Intimacy: Ten ways to recognize fear of intimacy, and ten ways to manage it in your relationship.